After a long hiatus, while remixing some local Aussie acts & finding his new sound, REGAL has finally returned to the melting pot, with his debut solo album 'LOOP DREAMS'. Recorded at Regal's then ad-hoc home studio (now in limbo), over an intense 4 month period in 2006, 'Loop Dreams' is a little gem from the one-time original founding member of both THE WISEGUYS (Wall Of Sound) & BRONX DOGS (Heavenly/Marble Bar), two of the UK's most revered underground acts of the '90's. Encompassing Regal's Hip Hop roots and a fresh batch of dusty breaks, this album delivers solid beats with a great blend of Funk-Fusion samples, a dash of Psychedelia, deep grooves & a touch of the Avant-Garde. 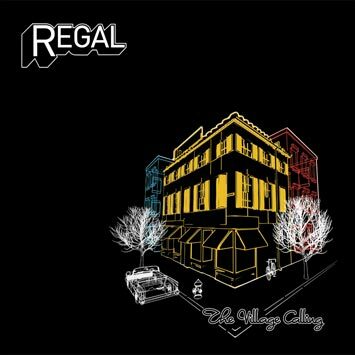 Focusing on a more reflective sound, which rewards the listener with each new listen, Regal has crafted an original, daring, and beautiful album of B-Boy music as part-homage to the brilliance of the 70's Jazz-Fusion scene, his major inspiration these last few years. The first single taken from Regal's forthcoming "Loop Dreams" album, "The Village Calling" is a funky and tripped out head-nodder, with a solid Hip Hop drum break, killer b-line, a re-vamped classic guitar riff, lush strings & a wicked spoken-word psychadelic breakdown, that enlighten's the track's spirit... The exclusive top-notch remixes, stretch out the inherent vibe of the original, with Washington D.C.'s All Good Funk Alliance (FUNK WEAPONS) adding further layers of vocals, drums & funky chops, while expanding the trippier elements & keeping the groove nice 'n' strong - undoubtedly one of their finest productions! On the flipside, Sydney duo, The Versionaries pick up on the dubbier-side of things & strip "The Village Calling" back to it's rythmic essentials - their 'Re-rub' definitely good for a late-nite sesh! The Bonus cut, the remix of "Searchin' For Peace", is a tight and tuff version from Melbourne's DJ Paz & one for the Bassheads with it's chopped-up b-line & crisp B-Boy drums.